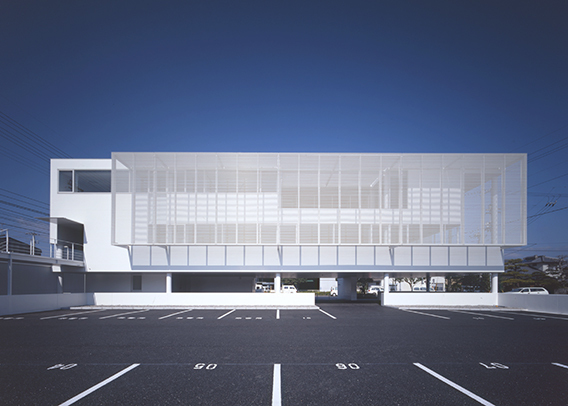 The design aims for a landmark quality, as the site is a highly visible “island” surrounded on three sides by roads. 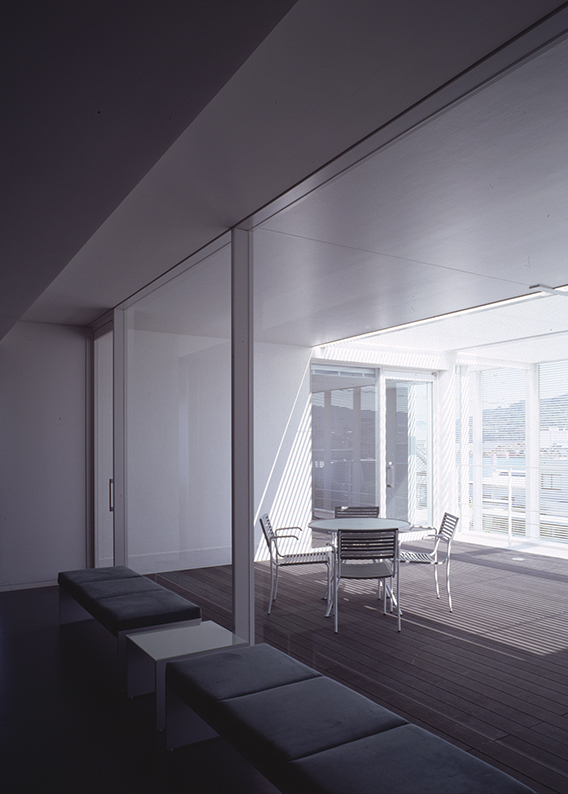 This is accomplished with distinctive features such as plastered exterior walls reminiscent of traditional Tosa-region plastering techniques, and an entire south wall covered with materials such as louver formed from round aluminum pipes. 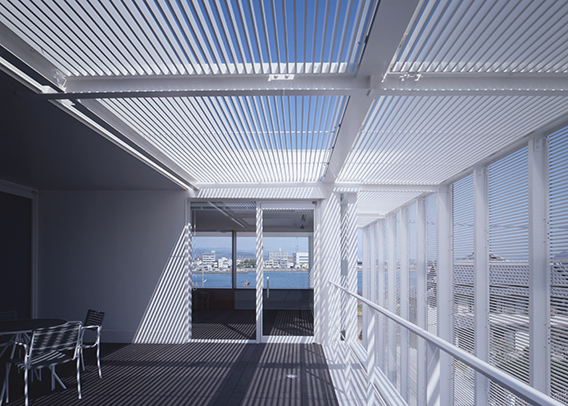 From the interior, the louver softens the strong sun characteristic of this southern region, and creates a soft focus, filtering the jumbled appearance of the surrounding environment. Areas not usually occupied, such as staircases and restrooms, are located on the west side of the building so as to reduce the effects of the sun’s heat on work areas. As the site is located next to a river and the possibility of flooding has been pointed out, rooms on the first floor are limited to an entryway, etc., while office equipment and the like is kept on the second and third floor.